Ideal Response technicians are trained specifically to deal with property of hoarders, living or deceased. We have the skills to provide a complete cleanup service with compassion, sensitivity and professionalism. Ideal Response’s Hoarder Cleanup service is a complete solution to a challenging problem. Hoarding often results in an unsanitary, unsafe and hazardous environment. Professional clearing, cleaning and decontamination quickly returns your property to a habitable and saleable condition. Hoarding cleanup requires specialist skills and experience. ✓ Identification of items of value by trusted providers. ✓ Clearance, removal and safe disposal of all waste. ✓ Cleaning and 100% decontamination of grossly unsanitary environments. ✓ Professional, accredited and discreet service. For individuals still occupying the property, the cleanup process will be difficult and stressful. These individuals may need additional support and counselling before and throughout the process. We would recommend individuals who are supporting hoarders to read literature to support their understanding of the difficulties faced by hoarders and to reinforce the solution. Ideal Response have provided a professional cleaning service to organisations in London, Kent, Essex, Sussex, Surrey and the South East since 2001. We are CHAS and N.A.C.S.C. accredited and our technicians are trained to the highest industry standards. With an understanding of the problem, we work closely with property owners to bring about a fast and effective solution. 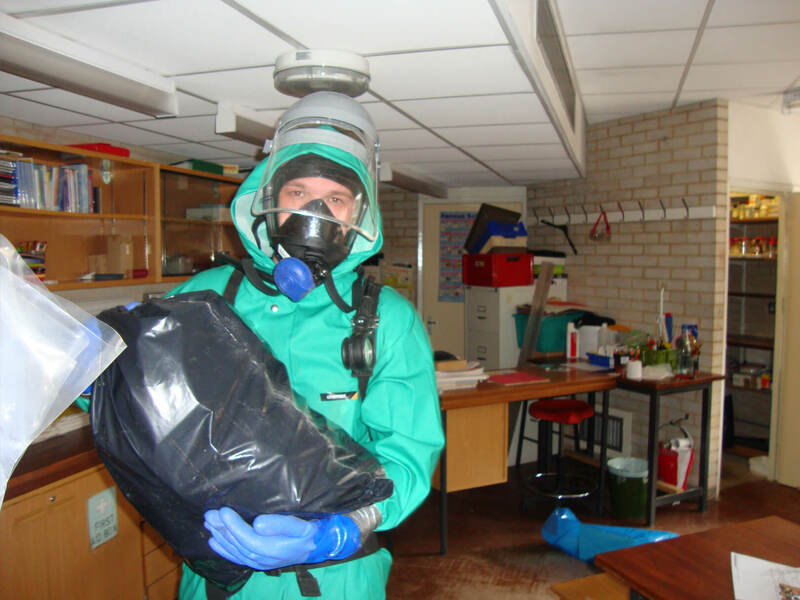 We use cutting-edge industrial hygiene technology to decontaminate affected areas within minimal time, ensuring the least disruption to your home. Our experience and technology, allows us to return you to business as usual in the most cost effective way possible. With over 15 years' experience of industrial cleaning, Ideal response provides a specialist Hoarder Cleaning service in London, Kent, Essex, Sussex, Surrey and across the South East. Our Hoarder Cleanup service can be an emergency response or a planned cleanup.